Launch and control content with the all-new Alexa Voice Remote. Watch favorites from Netflix, Prime Video, or Hulu, plus stream for free with Pluto TV, IMDb Freedive, and others. 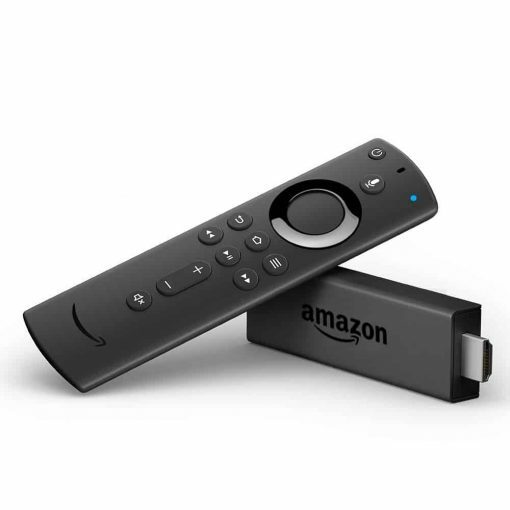 Just plug Fire TV Stick into your HDTV and start streaming in minutes. With the Alexa Voice Remote, press and ask to easily find your favorite movies and TV episodes, plus live news and sports. All-new power and volume buttons give you more control. Watch Hollywood hits and TV shows from Pluto TV, Tubi TV, Sony Crackle, IMDb Freedive, and others without a paid subscription. Stream millions of songs and use your all-new Alexa Voice Remote to request a song, artist, playlist, or control playback through services like Amazon Music, Apple Music, Spotify, Pandora and iHeartRadio. Subscription fees may apply.